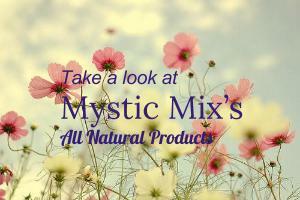 Mystic Mix found artist Autumn Skye Morrison by chance. 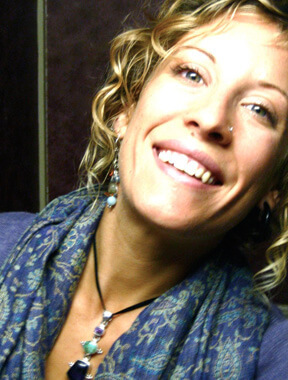 We love to associate with practitioners of truth – and Autumn Skye embodies truth truthfully. 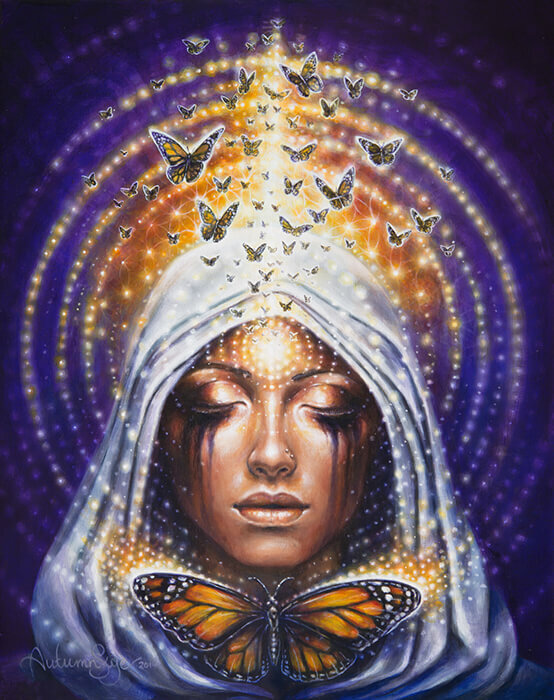 Autumn Skye’s artwork of healing is self-evident. As an observer of her paintings, you can see the soul’s journey (and in a lot of her pieces, the woman’s journey). The adage: a picture is worth a thousand words, rings astoundingly true for Autumn Skye’s work. That’s how we feel about Autumn’s art – each of her pieces represents a thousand different meanings for every thousand different observers. The fair-weather onlooker might casually glance at her painting’s flawless lines and sacred geometry, but within seconds, after realizing her art’s spiritual depth, find themselves unabashedly staring, contemplating, and loving what they see. 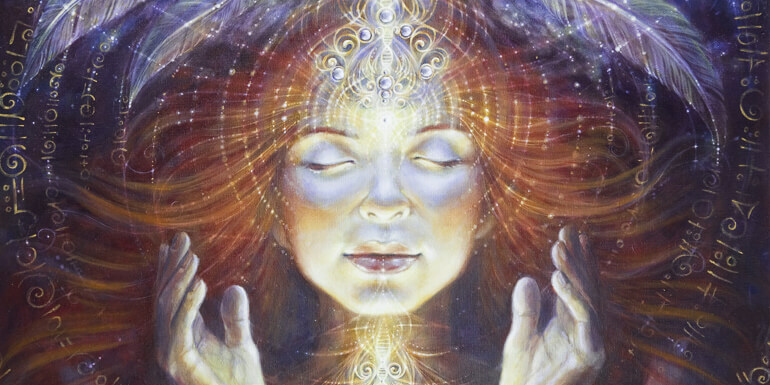 We admire Autumn Skye Morrison for the way she makes us think, re-evaluate life, and our spirituality. 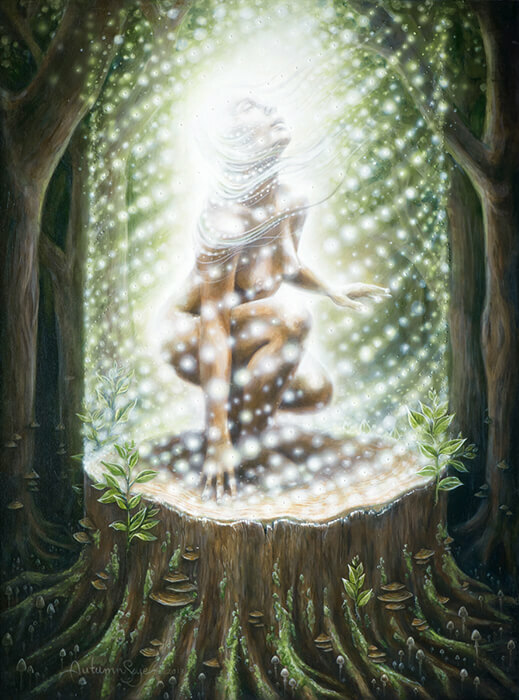 Sit back, breathe, and enjoy the healing beauty of Autumn Skye Morrison’s art.